Many people often wonder when is it appropriate to turn on my Christmas lights for the holiday season.... Traditionally, Thanksgiving weekend has been the unofficial start of the Christmas decorating season and many people light everything up even later, using December 1st as their target date. But recently we've seen more and more people begin to break tradition and choose to light up a bit earlier. 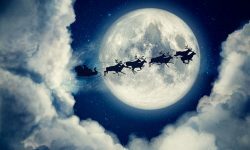 While post Thanksgiving light ups are still the norm, however, what we have been seeing over the last few years is a big surge in earlier light up dates. This is especially true on commercial properties. 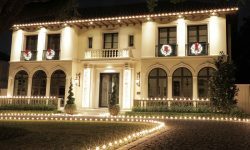 In Florida where we do professional installations on several hundred commercial accounts, we are receiving significantly more request for mid November light ups and even some as early as November 1st. 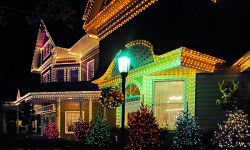 Typically when it comes to residential light up dates, homeowners can't get away with lighting up too early. But we are finding more and more residential Christmas Enthusiasts are turning on their lights by the second week of November. 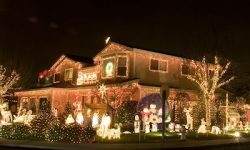 Often times, how early you are able to turn on your Christmas lights depends on where you live. 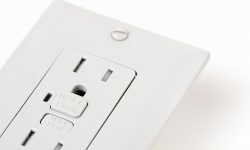 In more traditional and conservative areas, you may catch a lot of flack for lighting up your home too early. We generally hear that in areas where there is a younger demographic and especially in communities where there are a lot of children, it's typically acceptable and often welcomed to turn your lights on earlier in November. However, any earlier than November 7th or 8th is probably pushing it a little too much. 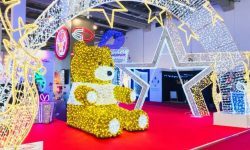 These days with many Christmas enthusiasts making the investment into LED Christmas technology, they prefer to get as much mileage out of their lights as possible. That means pushing the holiday season a bit longer. My own recommendation is to go ahead and turn on your lights a little earlier, but not before November 15th. If you also have visual decorations such as garlands, wreaths or yard displays, hold off on these until Thanksgiving weekend.